Founder of the new social networking Application BYBER, designed to help you meet new people, connect with friends and explore what your neighborhood has to offer, Christopher Keir is a world-travelled native Scotsman, now based in New York City. 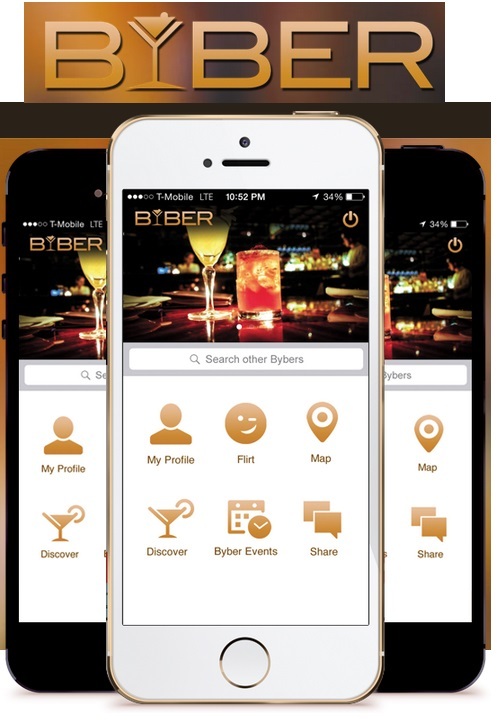 BYBER marks Christopher’s first foray into the world of application development; bringing with him the wealth of hospitality and food and beverage experience he has accumulated in over a decade of luxury hotel management. I create. I take my idea and mold it into something people will love and want to be part of, finding skilled and talented individuals along the way who believe in what we do. Passion! I love what I do. When someone is passionate about what they do, progression and self-development becomes fun. The wonderful thing about being a new app developer is the wealth of information out there waiting to be explored, whether it be advertising, coding, marketing – I soak this up and put what I have learned into practice. I truly believe that when you create something new, exciting and worthwhile you have the building blocks for success in place. BYBER has these fundamentals. With persistence and dedication we can only continue to grow. Personal: Spend more time with family and friends both here in New York and overseas as well as allowing more time to enjoy an occasional glass of wine at my favorite local bar with my girl. Business: Grow BYBER – introduce the updates I have planned over the next year. Take the constructive feedback my wonderful users have and will provide then mold and shape our product until BYBER is on every phone. As BYBER grows I would like to engage in a similar process to companies like Toms Shoes, which have made giving a substantial part of their business plan. What triggers people to interact fascinate me. Sociology and psychology are two fields I have become much more familiar with as I have developed our User Interface. Also Penguins. They have knees. Blake Mycoskie – Founder of Toms Shoes. Katja Lindemann – she is my sounding board, my supporter and support. Scotland, where I was born and raised. It will always have a place in my heart. Vancouver, New York and the Dominican Republic. BYBER, coffee and my iMac in that order. BYBER, movies, reading, gym and learning.